Help shape the minds of the future with a 2 + 2 education. What are 2 + 2 Education Programs? 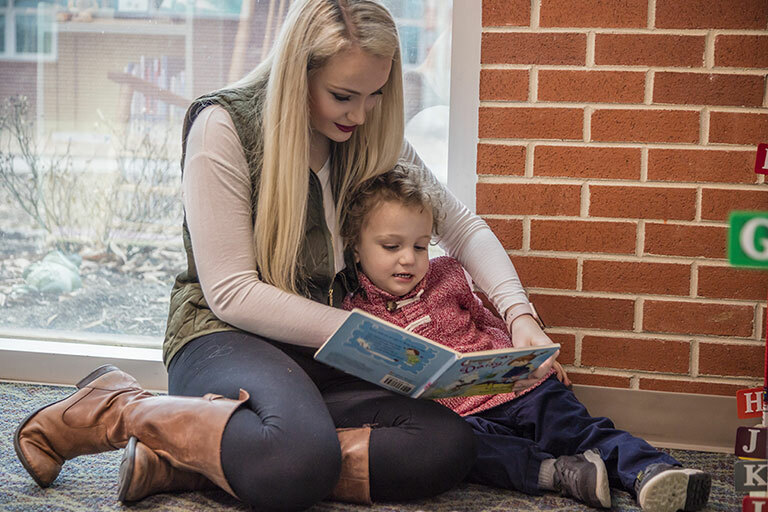 The education program (2+2 option) allows students to complete their 4-year degree in elementary education, special education with elementary education emphasis, or Bachelor of Science in middle grades math/science through courses offered by MCC in conjunction with Murray State University. All courses are offered locally to complete the 4-year degree. Students also have the option of completing an Associate Degree then transferring to a 4-year education program of their choice throughout the Commonwealth. The program will give students the credential necessary for careers as certified Kentucky teachers in a number of subject areas. Graduates of education programs are also excellent candidates for careers in other fields, such as business, social services, and training. The Dual Teaching Certification is designed to prepare you for employment as a certified teacher in Kentucky P-5 classrooms for elementary instruction and K-12 classrooms for students with Learning and Behavioral Disorders (Special Education). MCC has a 2+2 agreement with Murray State University allowing you the opportunity to complete your Associate in Arts degree in the first two years, followed by two years of Murray State University courses (offered at the Madisonville Regional Campus) to complete the Bachelor of Science degree. If you wish to obtain your Bachelor's degree through any of Kentucky's other 4-year universities, you may transfer after completing the Associate in Arts degree. This fulfills the first half of the required coursework to transfer and complete the Bachelor of Science degree. Completion of this degree prepares students to take the required teacher licensing exams in the state of Kentucky. For program course requirements, consult the advising guide. Employment opportunities for persons with a Bachelor of Science in LBD with Elementary Education emphasis are available in public and private schools. For the first two years of the program, consult MCC's general admission requirements. For other state universities, consult their individual web sites. The Elementary Education program is designed to prepare you for employment as a certified teacher in Kentucky P-5 classrooms. MCC has a 2+2 agreement with Murray State University allowing you the opportunity to complete your Associate in Arts degree in the first two years, followed by two years of Murray State University courses (offered at the Madisonville Regional Campus) to complete the Bachelor of Science degree. If you wish to obtain your Bachelor's degree through any of Kentucky's other 4-year universities, you may transfer after completing the Associate in Arts degree. Employment opportunities for persons with a Bachelor of Science in Elementary Education are available in public and private schools. For the second two years of the program, consult the advising guide. The Middle School Math/Science Education program is designed to prepare you for employment as a certified teacher in Kentucky 5th-9th grade classrooms in the areas of math and science. MCC has a 2+2 agreement with Murray State University allowing you the opportunity to complete your Associate in Science degree in the first two years, followed by two years of Murray State University courses (offered at the Madisonville Regional Campus) to complete the Bachelor of Science degree. If you wish to obtain your Bachelor's degree through any of Kentucky's other 4-year universities, you may transfer after completing the Associate in Science degree. Employment opportunities for persons with a Bachelor of Science in Middle School Education are available in public and private schools. The Middle School Social Studies / Math Education program is designed to prepare you for employment as a certified teacher in Kentucky 5th-9th grade classrooms in the areas of social studies and math. MCC has a 2+2 agreement with Murray State University allowing you the opportunity to complete your Associate in Arts degree in the first two years, followed by two years of Murray State University courses (offered at the Madisonville Regional Campus) to complete the Bachelor of Science degree. If you wish to obtain your Bachelor's degree through any of Kentucky's other 4-year universities, you may transfer after completing the Associate in Arts degree. The Middle School Social Studies / Science Education program is designed to prepare you for employment as a certified teacher in Kentucky 5th-9th grade classrooms in the areas of social studies and science. MCC has a 2+2 agreement with Murray State University allowing you the opportunity to complete your Associate in Science degree in the first two years, followed by two years of Murray State University courses (offered at the Madisonville Regional Campus) to complete the Bachelor of Science degree. If you wish to obtain your Bachelor's degree through any of Kentucky's other 4-year universities, you may transfer after completing the Associate in Science degree. The program can be completed in four years if you take 15 to 18 credit hours per semester.